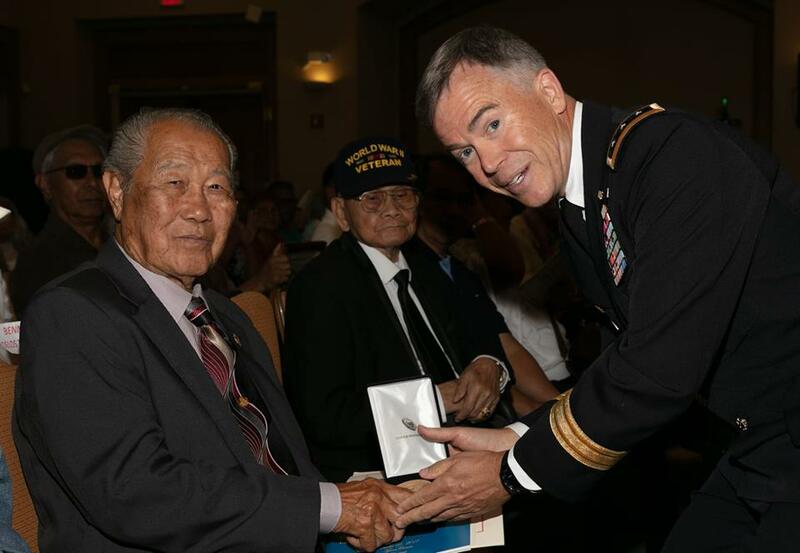 America's Filipino heroes of the Second World War are finally getting some overdue recognition nationally, and the Sounds of Aloha Chorus was thrilled to help by raising our voices in celebration at a very special occasion at the Filipino Community Center in Waipahu! 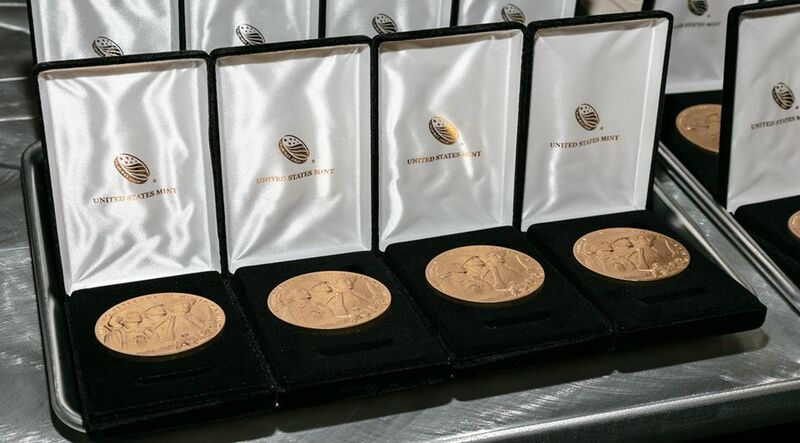 The chorus provided music for the January 26, 2019 award ceremony honoring Filipino veteran recipients of the Congressional Gold Medal, Congress's highest civilian honor. 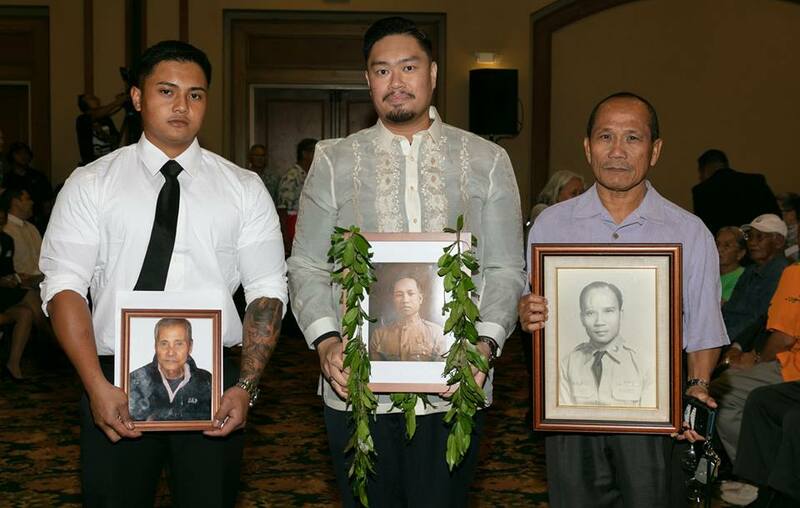 The event was organized by Hawaii's chapter of the national Filipino Veterans Recognition and Education Project. Living awardees and the families of posthumous recipients were recognized by U.S. Army Lieutenant General Bryan P. Fenton, Deputy Commander of the U.S. Indo-Pacific Command, and by retired U.S. Army Major General Antonio Taguba, who achieved national prominence with the 2004 Taguba Report and who happens to be not only the son of a member of the Philippine Scouts who fought in the Battle of Bataan and who survived the Bataan Death March, but also a graduate of Leilehua High School. 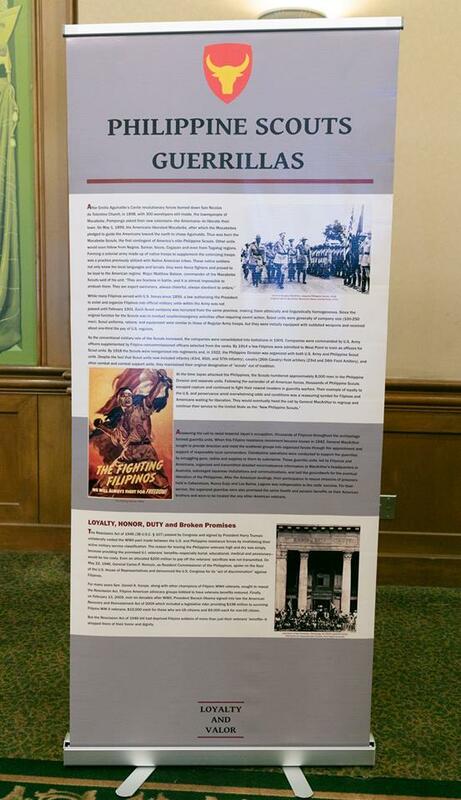 One of the things that makes our home so great for SOA is that we can be part of so many events commemorating history and sacrifice. And because so much history happened right here, and because of Hawaii's diversity, these acknowledgments sometimes help tell less well-known parts of the story. 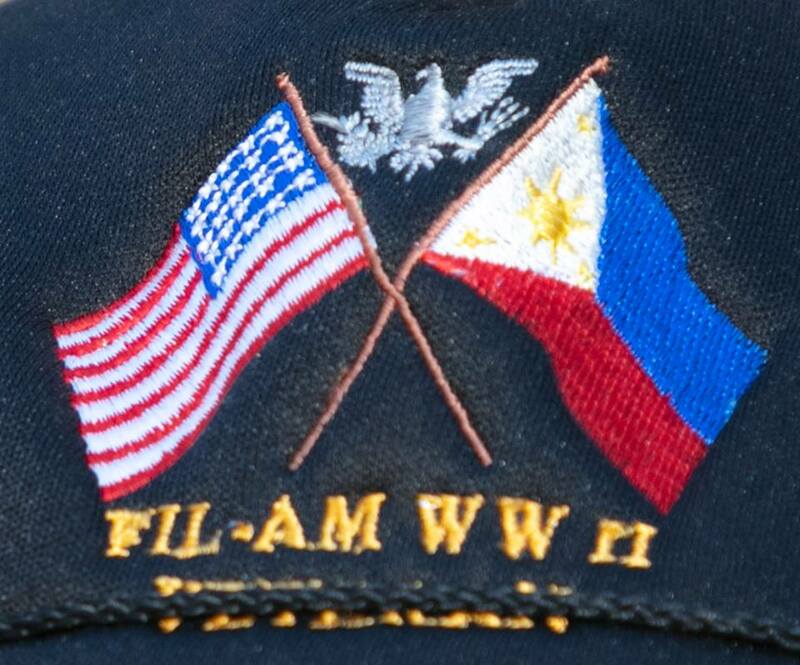 Over 260,000 Filipinos -- then U.S. nationals -- fought for the U.S. during the Second World War, but after the war they were unexpectedly denied veterans benefits and their story often forgotten. Thankfully that has changed recently, and we were delighted to sing some inspiring songs for so special -- and so appreciative -- an audience!